TV Babies, as you know, one of my favorite parts of this job is watching television with you. With this dreadful holiday season upon us, I was unable to watch Freakshow, but my Freakshow family included me in on their live tweeting session and I was very excited to see this new episode after reading how much they enjoyed it. Especially after the train wreck that was Test of Strength. I may be over critical of this show, but I was still excited to see what I was in store for and guess what? Despite every snarky thing I'm about to say, I love this episode! Elsa Mars may have been genuinely upset by the arrival of Ma Petit's ravaged clothing, but it still felt like an episode of All My Children. I don't see a television set in that glorious tent of hers, but I'm willing to bet my left hand that Ms. Mars has been bingeing on Douglas Sirk films. We waited two entire episodes for the ultimate face off between Elsa and Ethel and what do we get? Overacting from one Academy Award winner while the other Academy Award winner goes out like a schlump. First Patti LaBelle and now the great Kathy Bates. Mr. Murphy, you are killing me. The only moment of relief from this entire debacle of a face off between two fierce women was the delightful Danny Houston cameo. While we're on the subject of wasting talent, let's gloss over the "discovery" of Ethel Darling's suicide. Um, Ms. Dupree must be joining Elsa in those Douglas Sirk marathons. Some people were unimpressed with Ethel's funeral service, but I thought it was perfect. It is one of the few times that music has been used exceptionally well in a scene and the Emily Dickinson quote was beautiful. As someone who leans towards the Day of the Dead celebration rather than the solemn American funeral, I found this scene to be more of a celebration of Ethel and I enjoyed that. Don't tell! they'd banish us you know! I fully agree with Jimmy. You were definitely not a nobody Ethel Darling and you will be missed. Desiree said it best when she touted your strength and your ability to get along in this world without a man. You did everything for yourself and now you have lit a fire under all of the other ladies and someone is about to get tarred and feathered. O.K., first of all, who tars and feathers in their own home? Who's going to clean up that mess? Secondly, tarring and feathering has got to be one of the most gruesome acts a person could commit. Sure, they were also planning on castrating him, but that actually seems easier to fix than the other form of torture. I don't know, this whole scene was a bit too much; even for Ryan Murphy. On that note, I must say Dandy, I do believe that eating someone's flesh is the best way to obtain their strength, but I did enjoy the sight of you bathing in your mother's blood. You looked very much at peace and I am on pins and needles to see what kind of Ed Gein malarky you will be showering on us next week. This episode felt as though all of the stories were moving forward towards an epic finale. There are only four or five episodes left this season and it's about time all of the action started to ramp up. Apparently, one of the future episodes is titled "Tupperware Party Massacre" and I couldn't be more excited about that. 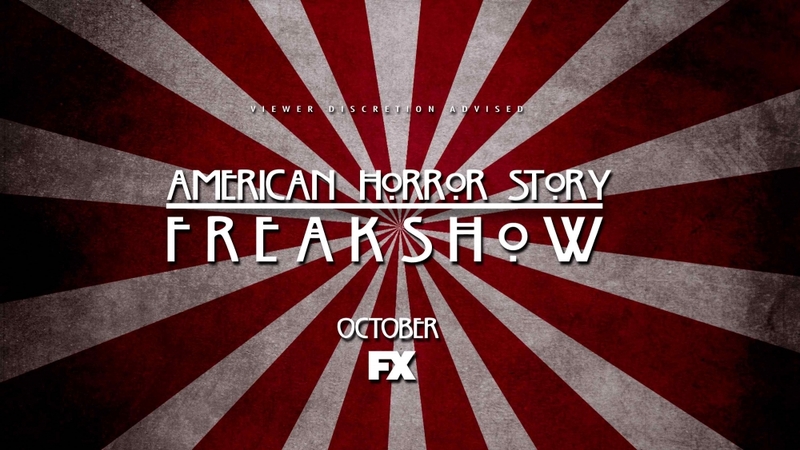 Here's hoping Freakshow builds up and ends just as fantastically as Murder House did and less like Coven did. Article first published at Horrorhoneys.com. Lisa is their TV writer.